Following my brief Santa Barbara stopover on my recent visit to Calif I made my way to Solvang and the Santa Ynez Valley. My intentions were to find back roads to cycle and interesting food and wine. I was not disappointed. I think I only scratched the surface on cycling the back roads around the area. 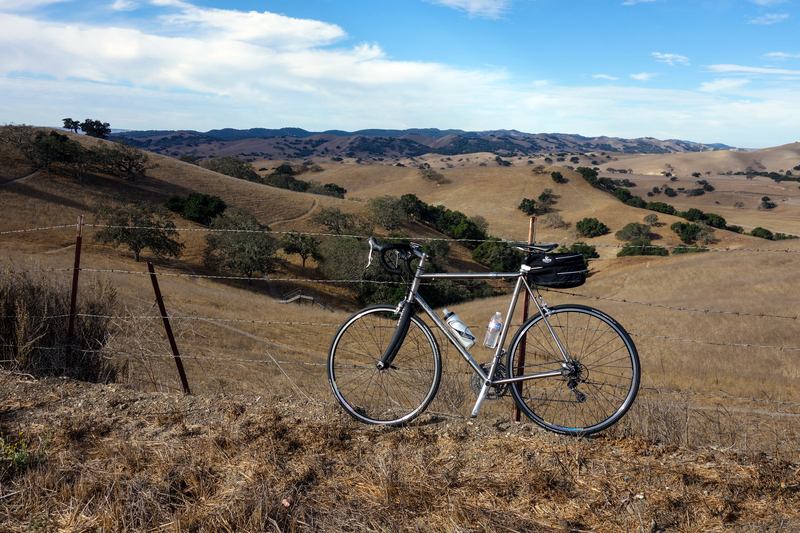 But a few of my favorites included Happy Canyon Rd east of Santa Ynez, Ballard Canyon Rd between Solvang and Los Olivos and Foxen Canyon Rd out of Los Olivos. 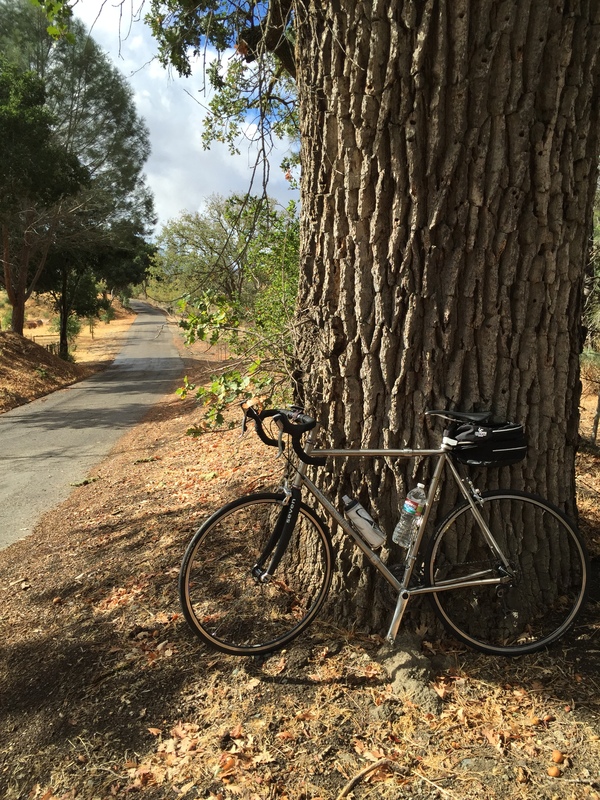 The photo of my bike leaning up against the tree here is on Happy Canyon Rd. This one I would definitely like to do again. I only rode part of it. There looks to be a long and interesting loop ride with some interesting climbing on that road. Plus it was just beautiful scenery. While the weather looks great in that photo, I could tell it was changing quickly, so I did an out and back ride and got back just before it rained (and sleeted). The other photo at the end of this posting is on Ballard Canyon Rd. Wonderful vistas along that route. Where it ended in Los Olivos turned into Foxen Canyon Rd across the highway. Together they made for a great out and back route.